There is one review of Angel Sunessence. Not much said about this, but I like the flankers way more than the original. I think people are giving up on figuring out the differences at this point. But the 2009 version of Sunessence is a more citrus take on Angel, with hints of A*Men to my nose. I think of it as step towards unisex. The 2010 version, Bleu Lagon is more floral fruity and incredibly electrified and definitely feminine. It's my favorite out of the 2 Sunessences. But I have a small 15ml of the 2009 version for the fun of it. 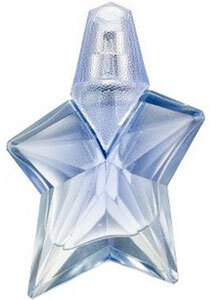 Thierry Mugler Angel Sunessence Bleu Lagon Light EDT SPRAY 1.7 oz / 50 ml,NIB . There are no member images of Angel Sunessence yet. Why not be the first?